He has a first name, he just doesn't tell it. If Father is too intimidating for you can just call him Mckenzie. He prefers that anyway. Hails from: A small religious town outside of London. McKenzie was born without a fate, no grand destiny or humble goal. 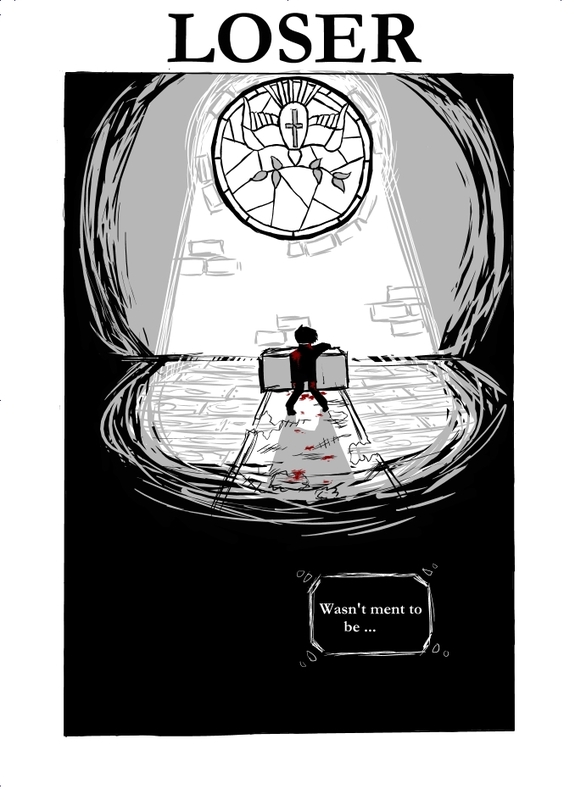 There is nothing on his plate that he /must/ accomplish. He's not amazingly strong; he has no super powers or dark magics to speak of. 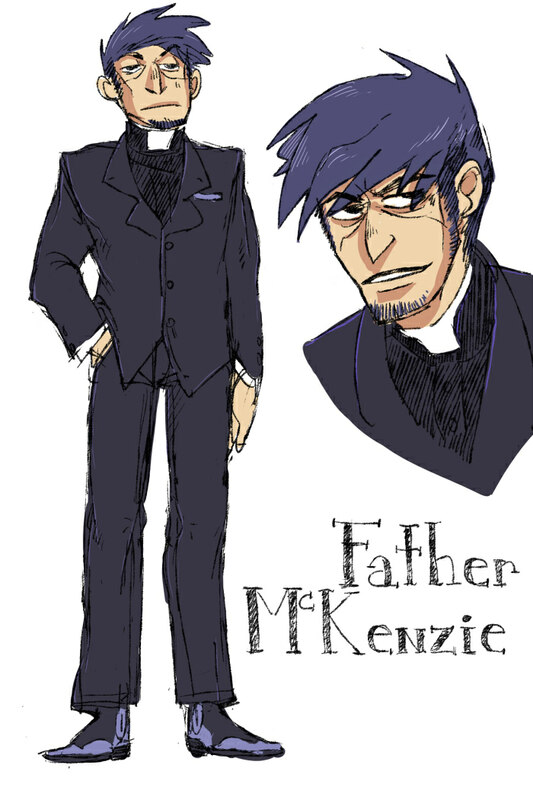 Father Mckenzie is just a 35 year old man who doesn't talk much about his comming froms and happens to be a priest of the Christian faith that God talks to. After all, if the whole world harps on God, doesn't the deity need someone to harp on in turn? Mckenzie was born a blank sheet for one reason: God needed a whipping boy. So what happens when God is your right shoulder angel? Not much really. Although, Mckenzie has been known to survive amazingly sticky situations, give his enemies hard times, and on the all-too-seldom occasion preform some very minor miracles. Of course, this never happens when McKenzie wants or asks for it; that would be too useful. God can't have that. While McKenzie must to listen to God, that doesn't mean he has to enjoy it. At the ripe age of 17 Mckenzie discovered that alcohol, the devil's drink, hampers God's ability to communicate with him. Basically, the more drunk Mckenzie is, the less of God he can hear. The priest abuses this often and almost always keeps a minor buzz up. 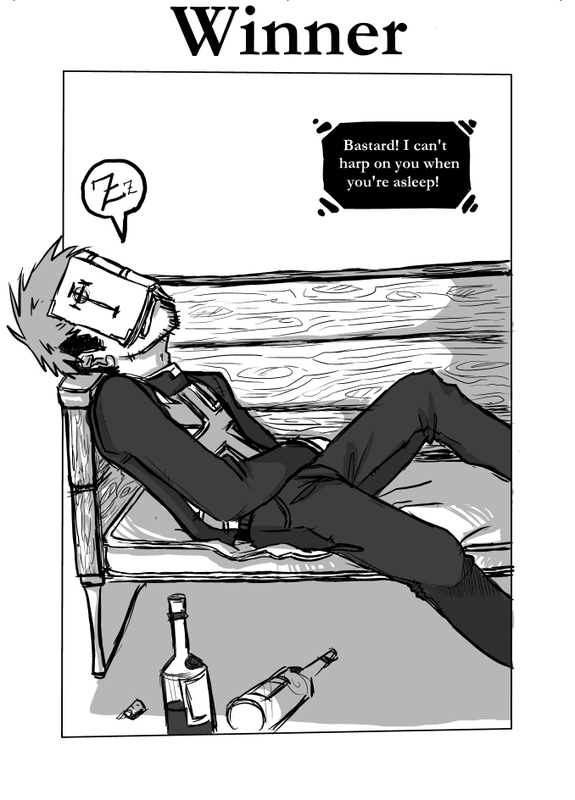 When he's sober he'd prone to violent headaches much worse than your average hangover. This is because while sober he can hear all of God's talking, every complaint, whine, and moan. If a psychic were to touch Mckenzie while he was completely inbrehated they would infact hear God talking to Mckenzie, as the alchohol acts like a barrier around the priest's conscious. If said psychic were to touch a sober Mckenzie they would have too concentrate incredibly hard to even hear God's mummbling and more than likely would hear nothing at all. No one believes Father Mckenzie can talk to God; and no one has for a very long time. He's accepted this, and goes about daily life talking to an invisble god that nobody else can see or hear. His past is rather mysterious and he doesn't tell the whole truth when people ask him personal questions. He has a worn British flag sewn onto his shirt, but never mentions why.